Normally when Dexter toured in Europe back in the sixties and seventies, it was as a solo musician picking up local rhythm sections in each city along the way. But in Holland, he had a “working band” with Rein de Graaff on piano, Henk Haverhoek on bass and Eric Ineke on drums. The main reason for this was that their booker Wim Wigt managed to find gigs in Hilversum, Leiden, Veendam, Venlo, Zwolle, Den Haag, Heemskerk, Amsterdam, De Woude, Rotterdam, and Eschede. When Dexter would tell people about all the towns he had played in during his time in Holland, they were incredulous. He would tell them that there were jazz lovers in all these places in a country the size of the state of Maryland. Dexternity is a tribute by 'the working band drummer' Eric Ineke. This tribute includes some of Dexter’s signature compositions including Fried Bananas, The Panther (composed in tribute to the Black Panthers), Tivoli, Boston Bernie, Sticky Wicket, Soy Califa, Mrs. Miniver, and Cheese Cake. They have also included the classic Body and Soul, the composition that “must” be played every night, according to Dexter Gordon. "The Gordon legacy, of course, consists of umpteen performances by the great man, but this evocation of his writing, and with vigorous interpretations to match, is a contemporary reminder of his significance as a jazz force that continues to have relevance and exert lasting influence." "''This tribute album shows a number of Dexter's biggest works.''" ""The Eric Ineke JazzXpress is a sparkling ensemble that brings old happiness into the Dutch jazz and that brings the music of the great masters alive.''" "Swinging and bursting and thereby forgetting about the daily rush." 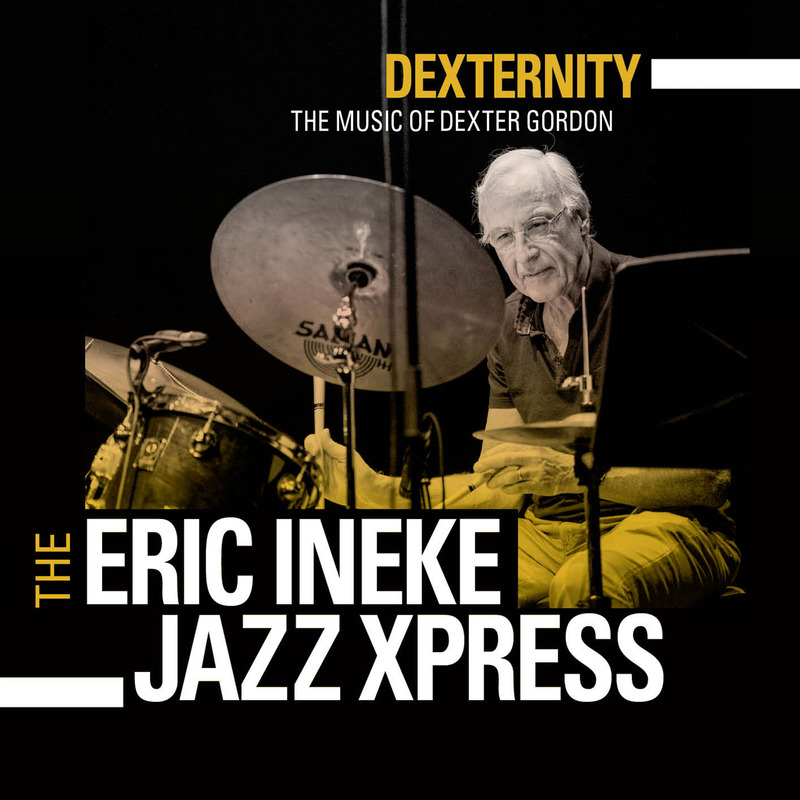 ""Imagine my delight, then, when drummer Eric Ineke contacted me from his base in The Netherlands to share with me that his working group - The JazzXpress - had just released a new CD featuring ten original compositions by none other than Dexter Gordon!!""